Shade with style! 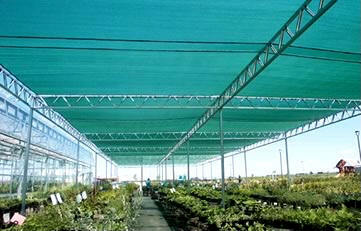 Our W-Truss shade structure has always combined strength with elegance. 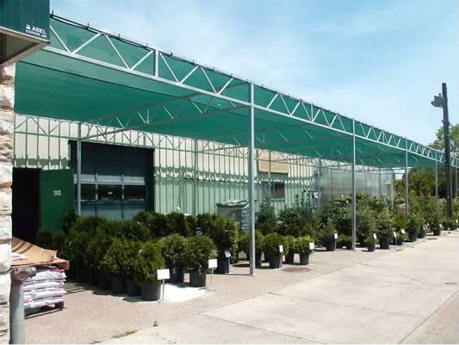 Now our new peak roof option allows you to add style to your garden center. 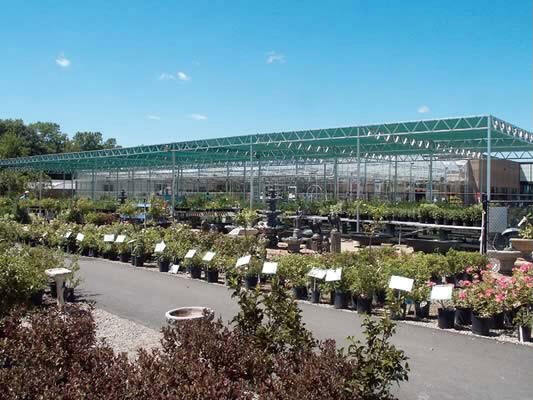 It mirrors the look and feel of a greenhouse while increasing the expansive feeling of an outdoor retail space. 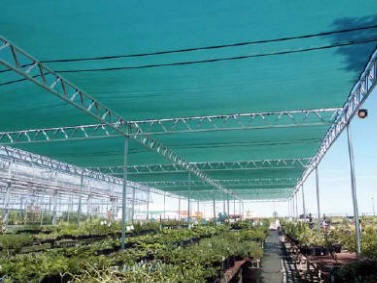 Both roof options are still built on a frame that is one of the strongest retail shade structures in the industry. Why choose? Now you can have form and function in one structure. Sturdy, horizontal truss allows for long spans between supports. 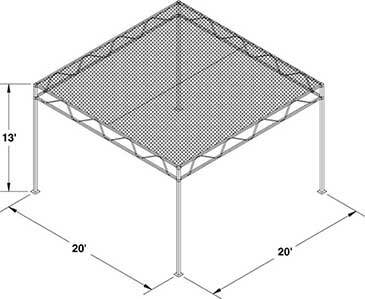 3" x 3" x 13' x 12 ga. vertical posts with 7" x 7" base plates in 20' x 20' blocks, expansion anchor bolts, 20' galvanized truss members, 60% black knitted shade cloth with taped edges and grommets, 10" canopy bungee ball every 18", fittings, hardware, and assembly instructions. 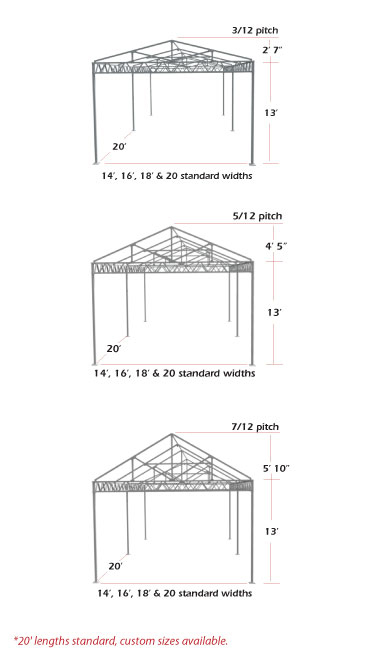 » Width/lengths: 20' x 20' blocks standard, custom trusses available.